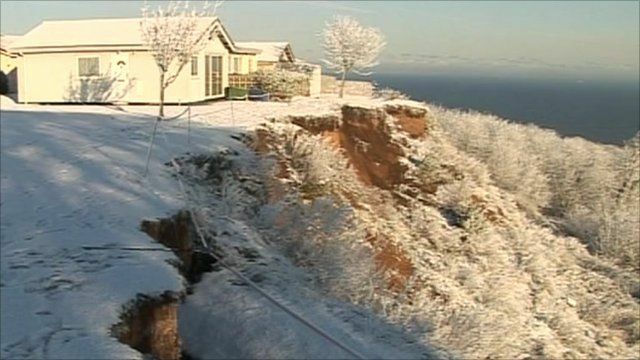 Residents living on a crumbling cliff edge in a Yorkshire resort say snow has caused more landslides - it is thought up to four metres has fallen away in the last month. Three homes in Scarborough have already been demolished and now there are concerns more will follow, particularly with more snow forecast. The BBC's Emma Glasby reports.